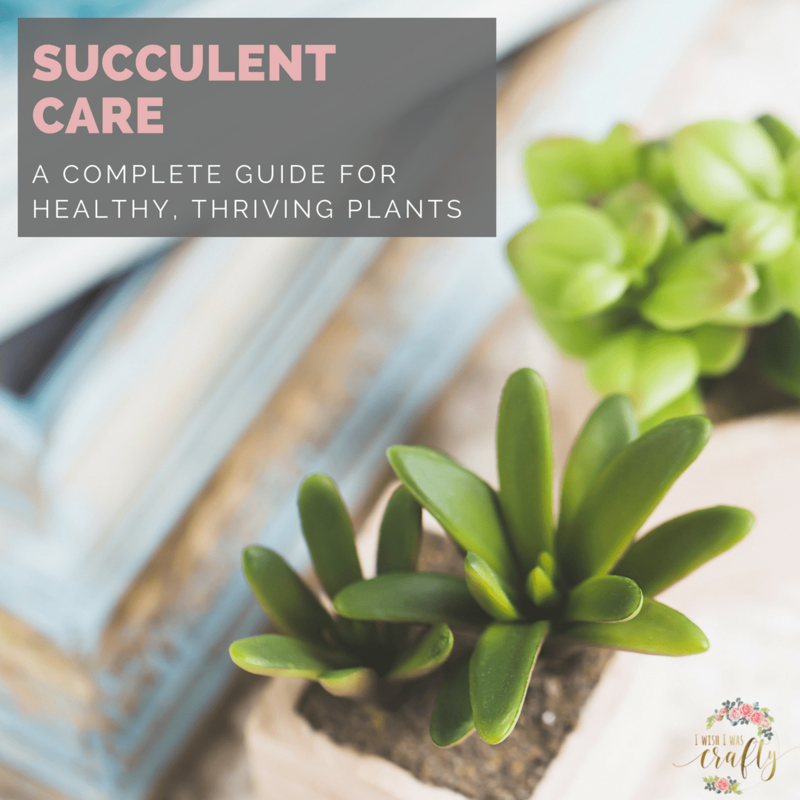 Succulent care is easier than you think. And these are the most rewarding plants to grow in and around your home. Do you feel like your thumb is not quite green? No worries! 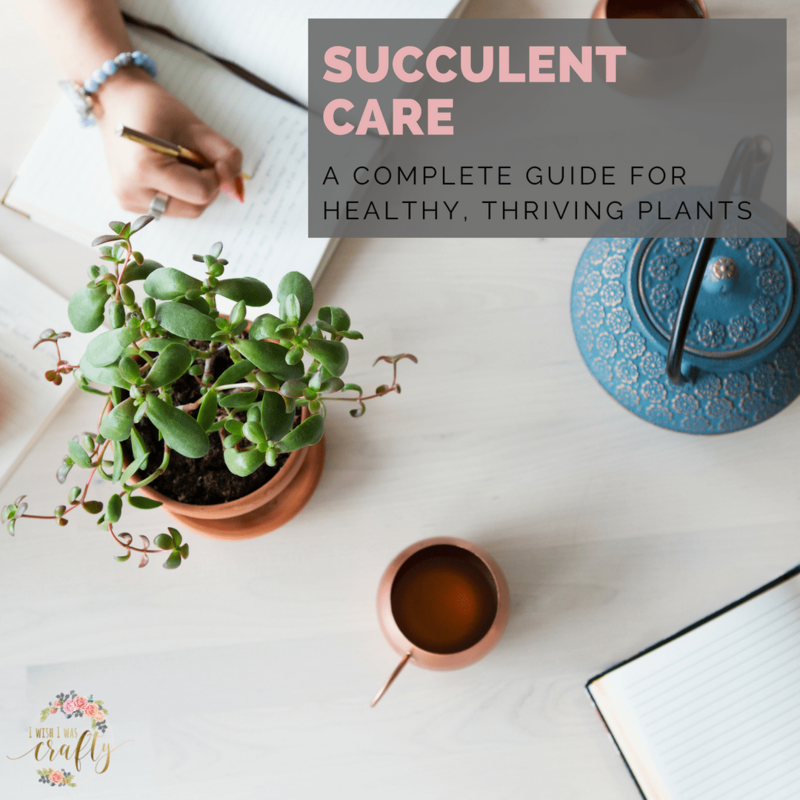 Here is your complete guide to healthy, beautiful succulent plants. You will love the addition of houseplants to your personal space. Not only are they beautiful, they will also help make your home a healthier place to live. Succulent care starts with the soil. The best succulent soil is a mix of three things, dirt, peat, and sand. The one thing that succulents do not like is wet roots — this soil mixture helps maintain the moisture the plants need while letting excess water drain out of the pot. 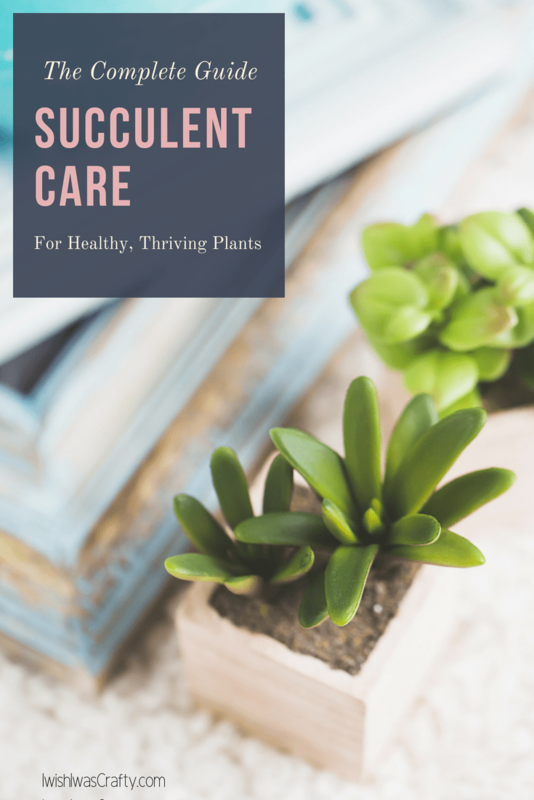 You can buy “succulent soil” at your local nursery and sometimes you can find it at big box stores now because of the recent popularity of growing succulents. But you can also mix it up yourself. The mixture is just a third dirt, a third peat, and a third sand. All of which are inexpensive and if you are a gardener (or just have a house with plants that have to be maintained) you may have in your garage already. I have both purchased succulent soil from the nursery and mixed it myself and have noticed no difference in how my plants grow. So whether you buy it or mix it is a matter of preference and convenience. Generally, you will water succulents every 7-10 days. But that is just a rule of thumb. The better gauge for how often to water your succulents is the soil itself. If you stick your finger down in the soil and it feels totally dry, it is time to water your succulents. You might notice that some plants need more water than others, and that’s okay. The biggest factor I have noticed is the climate where we live. I live in a really hot area, which is great for growing succulents, but I do have to water more often than if I lived in a place that was more temperate. Most of the time when I chat with someone who says they can’t grow succulents, it is because of either over or under watering. If the soil is damp, it is not time to water. If you are trying to just stick to a calendar instead of checking the soil, you may be under watering the plants and they will not thrive. Make sure your plants are in a well-draining pot. When it is time to water your plants, soak them all the way through and let the excess water drain out of the bottom of the pot before putting them back in their homes. Most succulents need at least half a day of filtered sun. Some really thrive with more. But finding that balance for me is a lot of fun. Because succulent plants are hardy little things, they can be pretty forgiving when you move them around. As long as you have a big window in the room that gets good sun, most succulents will be great. I have found that some do better on a shelf in the room and some do better sitting in the direct, bright sun. I also grow succulents successfully outside in a mix of direct and indirect sunlight. If you want succulents that grow well and bloom often, you will want to fertilize them. Be cautious not to over fertilize your succulents or you will burn them. Also, make sure you use a fertilizer formulated for succulents and cactus (like this one). All-purpose fertilizer has too much nitrogen and will also cause them to burn. You will want to read the directions carefully on the fertilizer you choose. We’ve talked a lot about growing succulents indoors. Outdoor requirements are exactly the same. 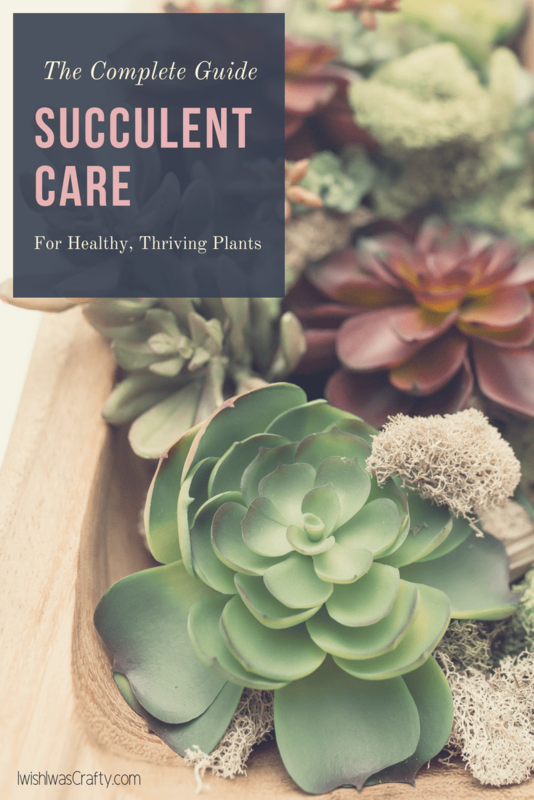 The biggest considerations for outdoor succulent care is well-draining soil and how much light and water the plants will get based on where you plant them. If you are planting directly into the soil, rather than a pot that you can move around, keep in mind you will have to monitor how much water the plants need based on how much direct sun they will be getting. Succulents like hot weather much more than cool weather so growing outdoors in the colder climates may be challenging. Most succulents are considered perennials as long as they don’t face a hard freeze. If you are planting succulents outdoors, instead of inside as houseplants, remember they like heat and light. So they will generally do well in the hard sun. Also remember that succulents like sandy, well-draining soil. You don’t ever want the roots to sit in water. If your soil does not drain well, consider mixing sand into the soil when you are planting. One of my favorite places to grow succulents is in pots leading up to the front door of my house. It is largely shaded with the exception of a few, really hot hours each day. Succulents are the only plant I have found that I can grow there successfully! And the beautiful plants make my entry so much more inviting to both our family and our guests. 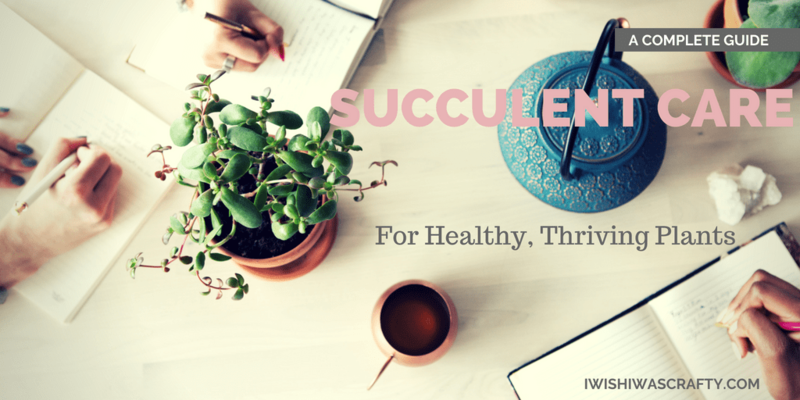 If you get the succulent bug like I have it, it can be fun (and save you a lot of money!) to propagate your own succulents. Use a shallow tray, like the one you would set a pot in to collect runoff water. Fill it with succulent soil or peat. 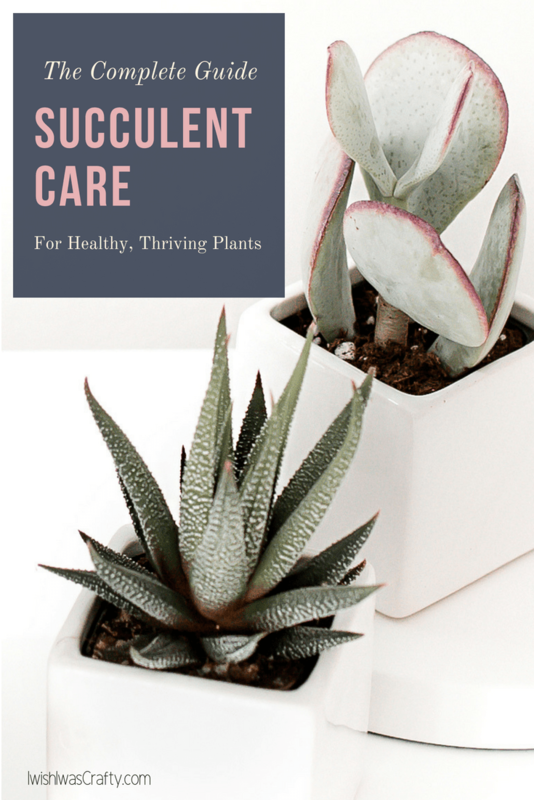 Break healthy leaves off of a healthy succulent plant. You don’t want to break the leaf itself, you want to pull directly from the stem so that the leaf is whole. Leave it to dry for 3-4 days until the end that was attached to the stem develops a callous. Sit the calloused leaf flat in the tray of soil, pressing gently so it is making good contact with the soil. Mist daily with water. And keep the tray out of direct sunlight. In about 45 days, your leaves will have become plants that you can then transplant into new pots! One of my favorite homemade gifts is to chalk paint a terra cotta pot and then use a stencil to add personal details. Like a family initial, a favorite flower… I’ve even made them with a sports team’s name. Then plant a few succulents in a large pot and gift it to a friend! I have personally had a lot of luck buying succulents from through Amazon. The plants I have received are always healthy and clearly well cared for. If you love succulents as I do, you might also like air plants. Here is how you care for air plants!